“I hate it!” That was my answer when my then-boyfriend asked me how I liked my first day at my first “grown-up”, supposedly perfect, this-is-what-you-got-your-MBA-for job as operations manager for a major cargo transportation company. I’m usually über positive, so I still remember my boyfriend’s shocked silence and the deep sadness I felt realizing that I had spent the first two and a half decades of my life preparing for something that I had zero passion for and that just didn’t feel like “me”. Despite the drama of that first after-work encounter, I stayed at the job for two years, learned a lot, and went on to establish a cargo logistics company with a few partners. But, despite plenty of success with both the company and my role there as customer service manager, I still kept finding myself wondering what in the world I was doing with my career. That cheesy line from the Chorus Line song saying “That ain’t it, kid. That ain’t it,” just kept playing in my head. But I didn’t even dare talk about my career doubts with anyone. I mean, how ungrateful and plain ol’ stupid could I be? To everyone else’s eyes, I had it made. But I couldn’t deny it. It just kept eating away at me—I still wasn’t happy in my career. And when I did finally open up about it, nobody had that easy solution I was hoping for. I almost started to believe that there was just no such thing as work that I could truly love. And then it happened! Not overnight—sorry, it’s not THAT easy—but slowly and surely. I started to think about what I loved doing, what I could lose myself in for hours… OK, I’m a CRAZY fan of Catalan country line dancing and practice it every day, but I was clever enough to know that it’s best—for me and for the world! (Haha)—if I just keep that as my hobby. What I did find was my passion for tech. I fell in love with computers as a kid when my dad brought home a Radio Shack TRS-80, and my fascination with them has never stopped. I was always the one in the office who knew all the keyboard shortcuts and the one at family gatherings volunteering to clean viruses off my relatives’ PCs. I admit I was pretty intimidated by these thoughts. But I was even more intimidated by the thought of even one more day of settling for less than doing something I truly loved. So, despite being 43 years old (gasp!) 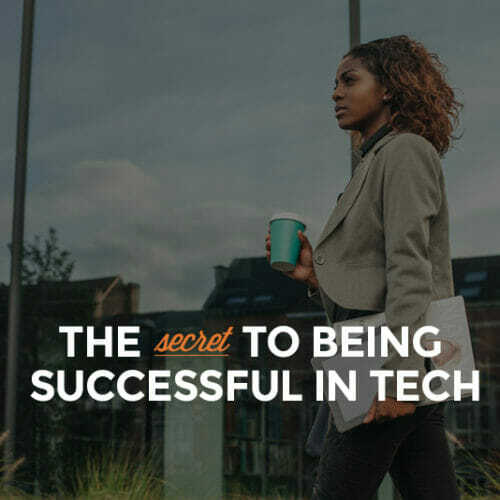 and not at all sure where I was going, I took that scary but crucial first step forward and signed up for my first coding class (which just happened to be with Skillcrush. #destiny). I felt like I had suddenly gained superpowers! I could instantly change the font or background or text of a webpage with just a tiny bit of code. I could add headers and footers and links and images. I was starting to understand how all the websites I relied on and enjoyed so much worked. And I even built my very own site completely from scratch and launched it on the Web for the world to see. Talk about excitement! Talk about POWER! And, before I knew it, I was offered a chance to combine my business education, customer service experience, writing talents, and new tech skills working for Skillcrush itself. Now THAT’s a happy ending! Or, as I like to say, a happy beginning to a real-life fairytale of a career. Dim the lights. Applause. Bravo, bravo. Blah, blah, blah. Don’t be afraid to fail…and fail again. Paradoxically, when it comes to code, one of the best indicators of success in code is being okay with failing. You WILL fall down. And that’s OK. The key is being able to get up, dust off your knees, and try again. And besides, making mistakes is only human, and it’s bound to happen when you’re doing something new. So, prepare yourself mentally by remembering that every great coder has probably made the same mistake (or had the same “stupid” question). And also remember that learning from your mistakes is incredibly effective in coding—as it is in life in general! Focus on one skill at a time. Why re-invent the wheel when you can join a course that will take you step by step through what you need to learn as well as give you support from other learners and help from instructors? You’ll get all that – and much more! – from our Skillcrush Blueprints so be sure to check them out to get everything you need to get started in tech! Even when you’re in a class, you need to make sure you actually make the time to do the work of learning. You’re much more likely to do that when you set aside time in your calendar for it. It can be just 5 minutes to review code syntax while you drink your morning coffee, 20 minutes during your lunch break to put together a color palette for a web design, or an hour on the weekend to de-bug your Ruby app. Just be sure to set a time for it and to stick to that coding date with yourself! Look up to the kids. 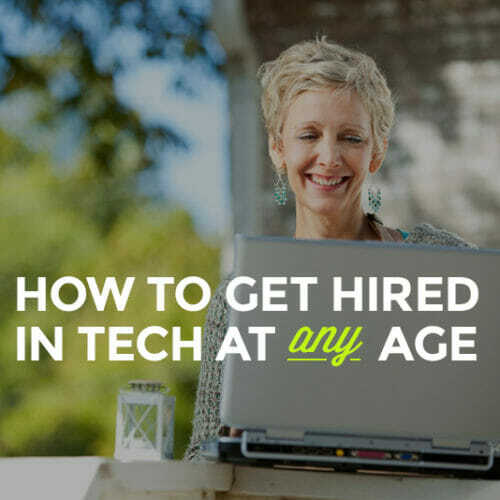 There’s no denying that tech is a young industry, so you’re sure to meet lots of people younger than you in this new world. But don’t let their lack of years keep you from learning from them. In other words, forget the traditional idea of an older teacher and look at their experience and talent instead of their birth year. Just like your age shouldn’t matter, neither should theirs. Join a local coding community. A great place to meet those mentors and fellow tech newbies besides classes is in-person meet-ups or tech groups. They LOVE enthusiastic beginners like you, and you’ll love all the support, tips, and information (plus awesome networking contacts!) you’ll get. 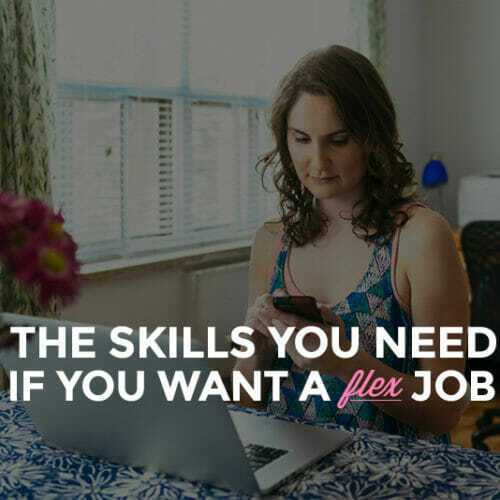 Start earning with your skills right away. 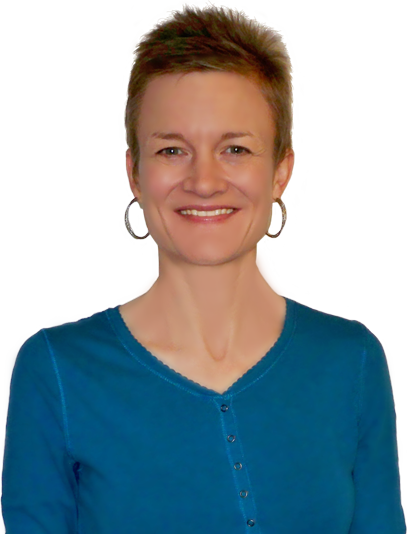 Not only is it exciting to put your new skills into practice, but it can also profitable. That’s right! You can start earning money doing all kinds of small tasks and projects while you’re learning. And it’ll be a huge boost to your confidence and your portfolio too! Work on “real” projects for your portfolio from the start. Speaking of your portfolio, you should start filling yours up as soon as you start studying, whether that’s with challenges from your Skillcrush Blueprint or actual paying projects (See #3). 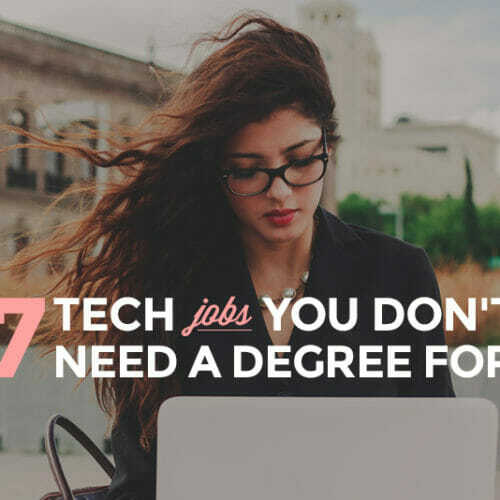 Solving problems and building actual sites or apps will really solidify your understanding of the concepts you’re learning, and, at the same time, you’ll be creating a collection of your fabulous work to prove your skills to future employers or clients. But even with easy, doable steps like these, I know you probably still have plenty of doubts, fears, and questions. I did too… That’s why I came up with the free “ARE YOU READY TO LEARN TO CODE?” quiz for a fun and fast way to know that it’s time for you to get started in tech TODAY! Get the skills you need for your own success story by joining us for a Skillcrush Career Blueprint. Our next session starts soon so don’t waste another day doing something you don’t love!